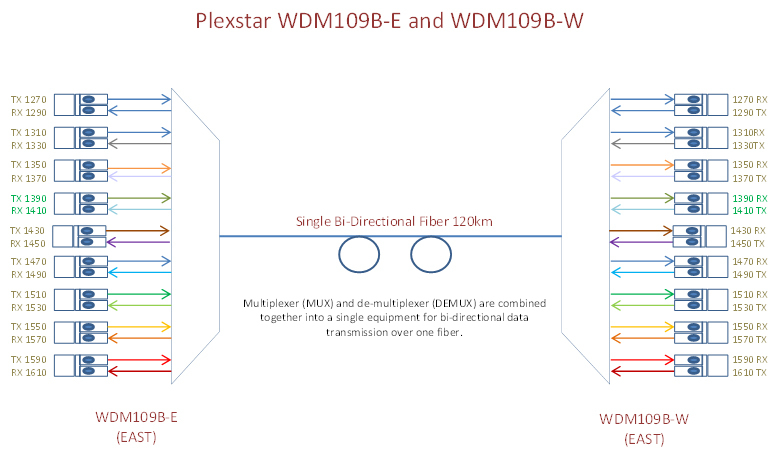 Plexstar WDM109P is an active WDM device. It can provide up to 36G bandwidth capacity for point-to-point (P2P) connectivity. The device is ideally suited for converting a single fiber into 9 virtual fibers. 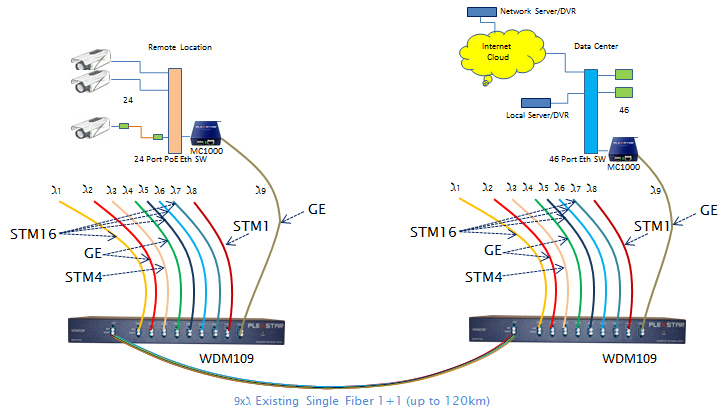 It also provides 1+1 Multiplex Service Protection (MSP) between two points. It is easy to deploy and operate. 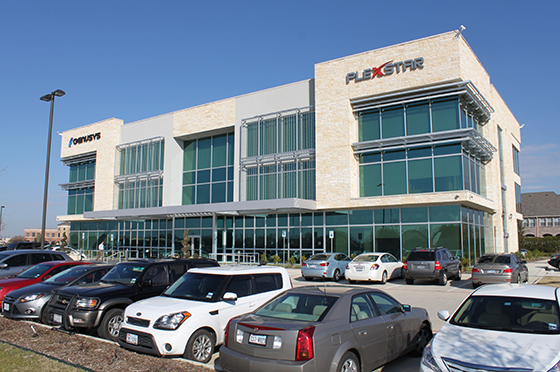 Power failure does not affect ongoing service of WDM109P unless a fiber cut incident occurs. The device has a very low life cycle cost. 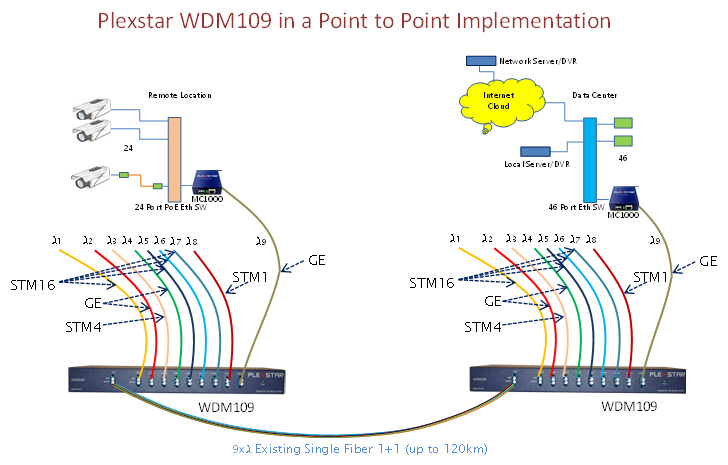 WDM 109P also provides flexibility in transmitting multi-protocol data through the same fiber.